Uemura H, Katsuura-Kamano S, Yamaguchi M, Arisawa K, Hamajima N, Hishida A, Kawai S, Oze I, Shinchi K, Takashima N, Suzuki S, Nakahata N, Mikami H, Ohnaka K, Kuriyama N, Kubo M, Tanaka H; Japan Multi-institutional Collaborative Cohort (J-MICC) Study Group. 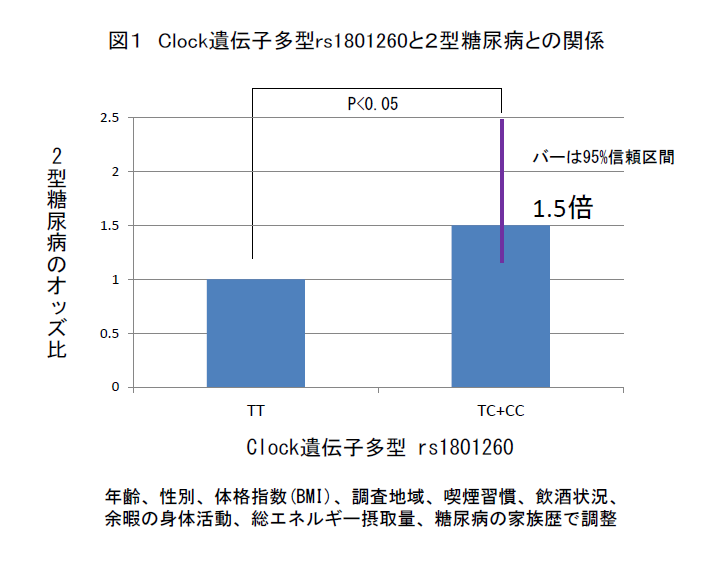 A variant of the CLOCK gene and related haplotypes are associated with the prevalence of type 2 diabetes in the Japanese population. J Diabetes. 2016 Sep;8(5):667-76.